Having originally been one of Rick Stein’s Food Heroes, we are delighted to again be a recommended spice supplier in his new book ‘India’ and are privileged to supply our spices to Stein’s Deli in Cornwall. Rick Stein uses numerous Indian spices and ingredients in his carefully researched and selected recipes that feature both in the book and his acclaimed BBC series Rick Stein’s India. The book and the BBC series Rick Stein’s India appear to have rejuvenated an interest in Indian cooking and the use of Indian spices. With the ingredients readily available, we all can enjoy following Rick’s example! 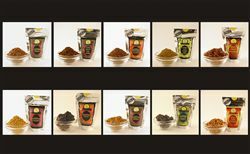 In conjunction with Rick, we have designed a gift pack to complement his book and TV series, containing five of the spices you will need to create the perfect curry. 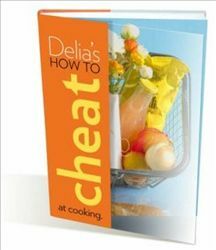 Delia’s cookery books and Delia Smith’s recipes are the trusted mainstays of the majority of British kitchens. It is with delight that we welcome the arrival of her newest publication, Delia’s Cakes. In her revamped and modernised book, Delia’s Cakes, Delia Smith has again endorsed Seasoned Pioneers and has used our spices and spice blends in her Delia cake recipes. Delia’s Book of Cakes was first published in 1977 and such is the staying power of this 35-year-old phenomenon, it has never been out of print. Now, to celebrate its success, the book has undergone a complete contemporary makeover and the revised 2013 version is simply called Delia’s Cakes. It still retains the much-loved favourites that have stood the test of time, but now alongside them there are new recipes, new ideas, new ingredients, and new and simpler methods. Over 90% of the recipes in the book have been tested gluten-free. From timeless classics like coffee and walnut sponge and old-fashioned cherry cake, to exciting new recipes such as iced hidden strawberry cup cakes and chunky marmalade muffins, Delia brings her touch of baking magic to your kitchen. All this is as you would expect from Delia: easy accessible recipes, carefully tested, and utterly to be trusted. Quite simply – as then, so now – the only book of cakes you’ll ever need is Delia’s Cakes. To accompany the book, Seasoned Pioneers have got together with Delia Smith to create a gift box of five specific spices that are featured in Delia’s recipes in Delia’s Cakes. Delia’s Cakes is a book that would be a fantastic gift for yourself or anyone who is enjoying the current revival and popularity of home baking. Paired with the Delia Cake spice selection gift box specifically designed to complement Delia’s Cake book, they would undoubtedly make the perfect gift for many occasions, so it’s great that it’s out in time for Mothers Day and Easter! Visit www.deliaonline.com or to order Delia’s Cakes the book click here and contact us to order the accompanying Delia cake spice gift selection. In addition to Delia’s cakes cookery book, Delia offers a wealth of further information, advice and recipes which are available through her website, Delia Online. Technique: Spices from Delia Online Cookery School on Vimeo. Technique: How to Buy and Store Spices from Delia Online Cookery School on Vimeo. 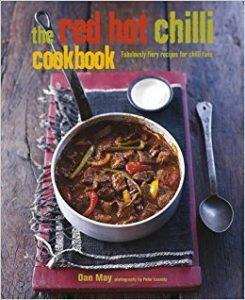 This great new book is a must-have for all those chilli fans out there. The author, Dan May, is certainly a most well respected authority on the subject having set up the world’s most northerly chilli farm and supplying fantastic chilli products through his company, Trees Can’t Dance since 2005. Having had the pleasure of meeting and getting to know Dan at a number of food shows over the years, it is great to see him sharing his knowledge and expertise in this book. With more than 70 recipes paying homage to the incredibly versatile chilli, there are ideas for every type of dish: soups and salads; nibbles and sharing plates; mains; side dishes; sauces, salsas and marinades; sweet things and drinks. Recipes include Thai Beef Noodle Soup; Moroccan Spiced Lamb Burgers; Texas Marinated Steak with Stuffed Mushrooms; Sweet Chilli-glazed Ham; Quick Chilli Lime Mayonnaise; three fiery pasta sauces; Chilli Pecan Brownies; and Chilli Hot Chocolate. We are also delighted that Dan is a real advocate of Seasoned Pioneers listing us in the book as a recommended stockist of spice blends and seasonings. As Dan says “if any spice, herb or blend is proving particularly elusive this is always my first port of call”. You can order your copy today at an immediate third off price at Amazon. Seasoned Pioneers used on Delia through the Decades on BBC2…! (£19.95 – save over £4) – great as a present & for your own kitchen too! 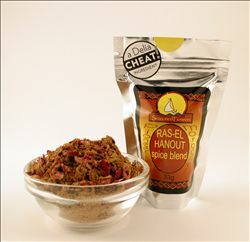 In her book, How to Cheat at Cooking, (published in 2008), Delia used no less than ten of Seasoned Pioneers spice blends and seasonings in her easy to make recipes. In the accompanying BBC TV series Delia actually filmed with us here at Seasoned Pioneers! We were delighted to have press coverage in The Observer & Daily Telegraph!